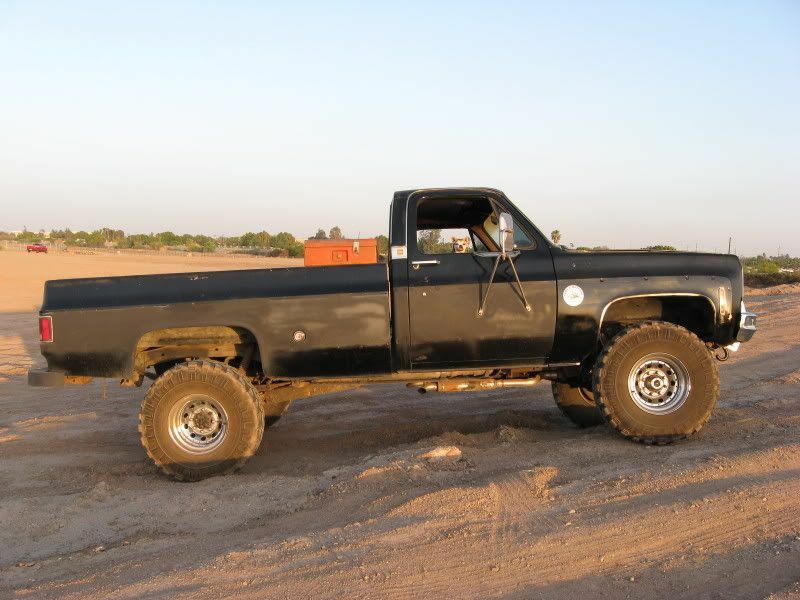 My 1976 3/4 ton Chevy sits on 36x14.50 Super Swamper radials. 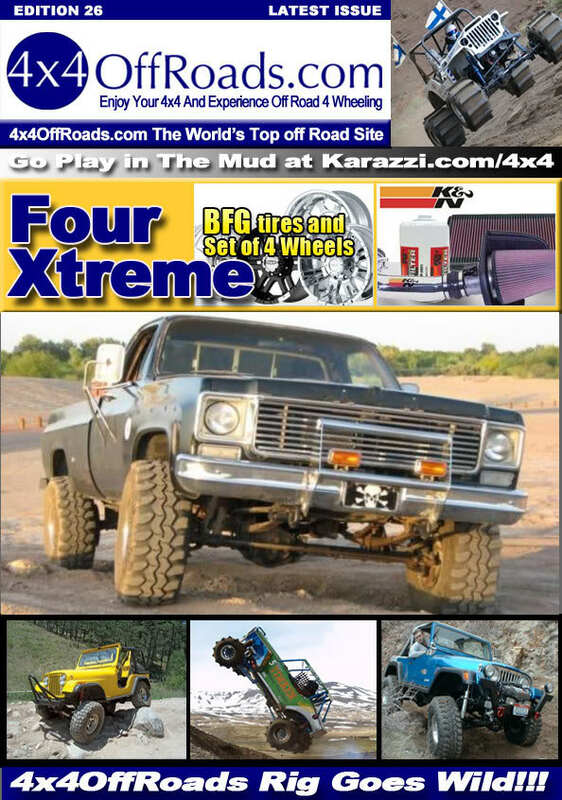 Has a D44 front axle with a 14 bolt full floating rear. 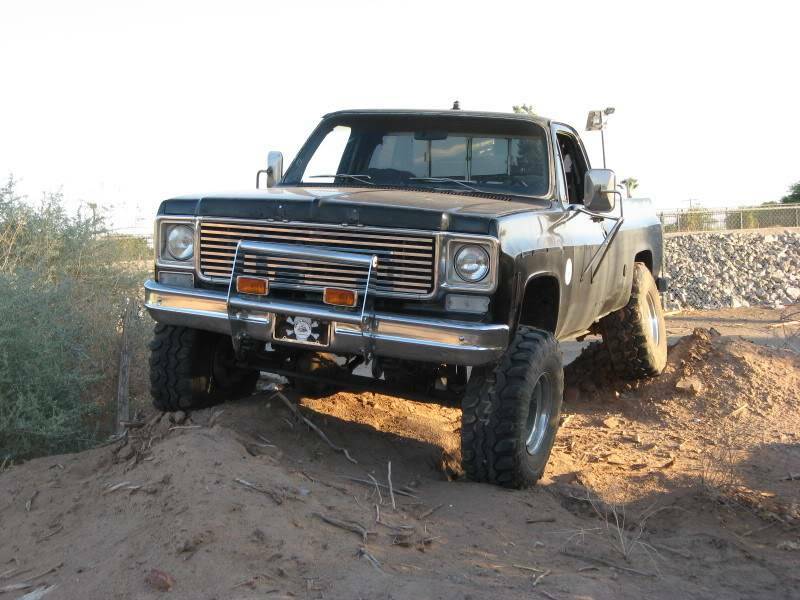 A strong, but economical 327 sits under the hood, sucking gas through a 750 Holley carb perched on top of an Edlebrck intake manifold, attached to camel hump heads, all sending power to a built TH-350 that sends power to all 4 wheels through a NP-205 transfer case. 4.10 gears and a Detroit "No-Spin" locker in the rear. This truck got the name "Rabbit Killer" because I keep running over rabbits with it. Not on purpose, it just happens.